It appears that for the last five hundred years or so, British folklore and folk art has been subject to rather bad press. 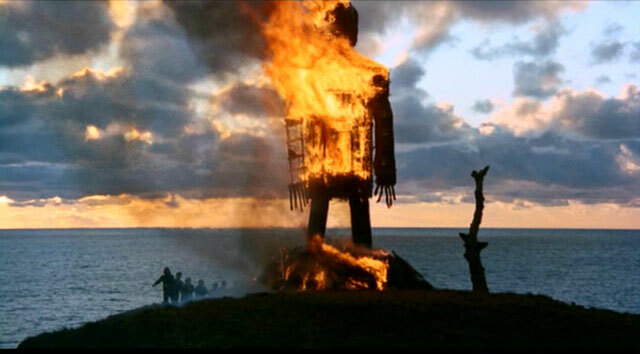 Whether such practices are considered peculiar, entertaining or simply so far removed from today’s urbanised culture, there is a recurring theme that often associates Britain’s folk traditions with a darker side. In her article, Alexa Galea explores these traditions and attempts to uncover why such horrific connotations exist. Galea’s investigation was ignited by one particular use of the traditional folk illustration, ‘Op under Fjeldet toner en Lur/ Up in the Hills a Clarion Call Rings Out’. 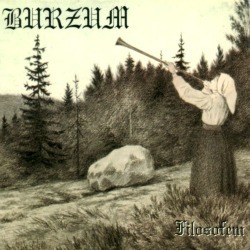 Originally drawn by the popular Norwegian artist Theodor Kittelsen (1900), the illustration – which pictured a traditionally dressed woman blowing a tradition horn upon a hillside – featured on the cover of the heavy metal band, Burzum’s 1996 album, Filosofem. The choice of such artwork was a calculated effort to conjure a specific image whilst expressing the agenda of the band, who were trying their best to ‘disturb mainstream society’ (Galea 2013), and Galea wanted to explore how this instance resurfaces as a theme in British folk society. The popularity of British folk art hasn’t seemed to diminish in recent years. In fact, traditional art forms are flourishing in the contemporary consumer market. The British visual artist Rob Ryan’s paper-cut inspired products continue to generate great appeal whilst the original craft’s popularity seemed to have peaked back in the eighteenth century. Even the craft of corn dollies playfully popped up in Alexander McQueen’s spring/summer 2011 fashion show. However, British folk art has been forced to fight a continuous battle to retain a foothold in British culture. This is apparent with the distinct lack of representation in public spaces of certain folk art practices, such as the Victorian practise of hair works – a craft of displaying the hair of deceased relatives in ornate and impressively complex designs. Despite the past popularity of such objects the undertones of these traditional crafts, and indeed many folk rituals, remain clouded. 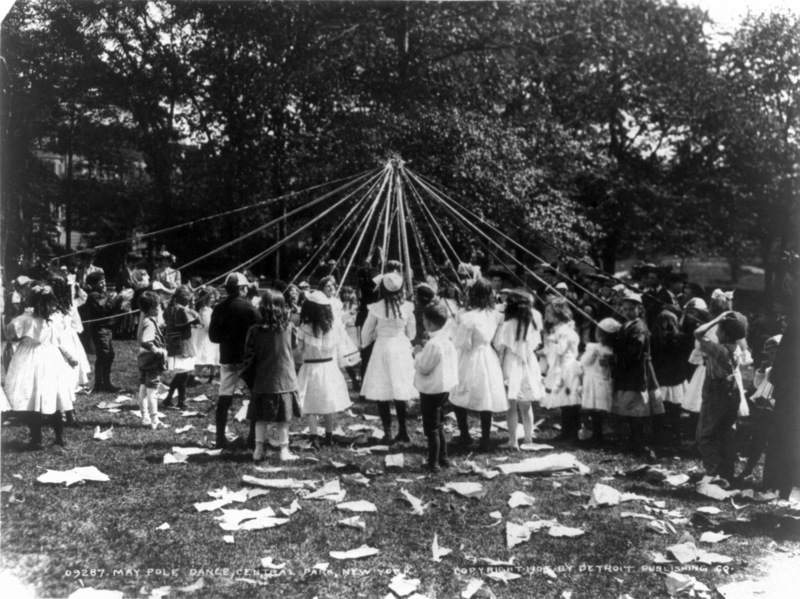 there is an implicit assumption that the reader already thinks rural British life and folk tradition is old and weird…This is reflected in the common lack of knowledge in Britain regarding many British folk traditions…which continue to be little known and little celebrated, and are often at best greeted with bewilderment. lack of a permanent museum dedicated to British folk art and ritual, and the persistent shunning of ‘inappropriate’ crafts such as hair works serve as examples of how folk tradition continues to be masked and marginalized in Britain. Primitive man lived and died by his harvest, the purpose of his spring ceremonies was to ensure a plentiful autumn […] In Great Britain one can still see harmless versions of them danced in obscure villages on May Day. In Pagan times, however, these dances were not simply picturesque jigs, they were frenzied rites ending in sacrifice by which the dancers hoped desperately to win over the Goddess of the fields. [M]y investigation into the dialogue between the conflicting images of British folk art and ritual as a picturesque and frivolous parade of craft and gesture; and one of an unpleasant, horrific and morally corrupting practice reveals a relationship of oppression and resistance; and a fundamental fear of the significance and meaning of folk artefacts and ceremonies. Folk art and ritual occupies a dual position within British culture, and although residual, is bound up with the dominant culture it permeates. Tags: British folk art, British folk culture, folk traditions, IQ magazine. Bookmark the permalink.